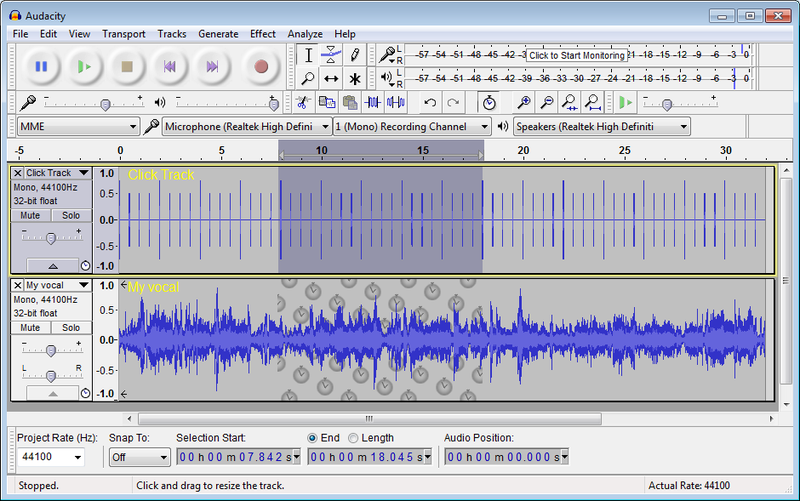 Audacity is an open source (or free) DAW that functions only as a digital audio processor. It can record up to sixteen simultaneous tracks and has no limit to how many tracks can be added to a session. The functionality of audacity is simple yet powerful. It can import and export in most audio formats and is very simple to use. You basically hit the big record button at the top and it creates a new track and starts recording. Podcasters, interviewers and people producing their own audio books commonly use audacity. It is really the modern tape recorder. It is a simple way for the masses to be able to record and playback audio. Visit AudacityTeam.org for more information. This post is part of a larger series of articles comparing the top DAWs (Digital Audio Workstations) in a DAW Comparison Chart and answering the following questions: What is a DAW? and Which is the Best DAW for You? theDAWstudio.com is dedicated to providing advanced knowledge of recording techniques, on-going issues, and current products to home recording enthusiasts, students of recording arts, and industry professionals.